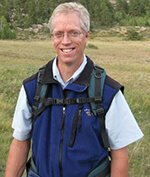 Dr. Mark A. Hayes, former Research Manager at the U.S. Geological Survey's Fort Collins Science Center, has joined Normandeau Associates, Inc., as a Senior Bat Ecologist. Dr. Hayes will head the Bat Team with oversight on our advanced technology including both our Remote Bat Acoustic Technology (ReBAT®) and Turbine Integrated Mortality Reduction (TIMRSM) systems. Prior to joining Normandeau, Dr. Hayes worked on projects conducting continental-scale geospatial modeling and research related to bats and other species of conservation concern, especially those impacted by wind energy development and changing climate conditions. Dr. Hayes is a cooperating scientist on multiple research projects and regularly coordinates with federal, state, and academic scientists and managers. His current research has focused on synthesizing ecological field studies and quantitative modeling to improve our understanding of how species of conservation concern are impacted by human activities. Dr. Hayes has recently been involved in research related to high-profile bat issues, such as those associated with wind energy development and bat white-nose syndrome along with projects related to roost selection and population dynamics of forest bats. He has been engaged in research and fieldwork in a variety of ecoregions and has ongoing collaborations with several federal research and management agencies such as U.S. Geological Survey, the U.S. Department of Agriculture's National Wildlife Research Center, and state and local wildlife and natural resource agencies, academic institutions, and non-governmental organizations. He regularly provides expert reviews of technical documents related to bat ecology for federal agencies. Dr. Hayes particularly enjoys trans-disciplinary collaborations, such as with mathematicians, engineers, computer scientists, geographers, and science educators. Dr. Hayes holds a PhD in Biological Sciences with an emphasis on bat ecology from the University of Northern Colorado. For additional information, please contact Dr. Hayes at 352-316-6479.